If ever a place evokes memories for me, it is Postbridge. I have many happy memories of coming here as a child and returning never disappoints. 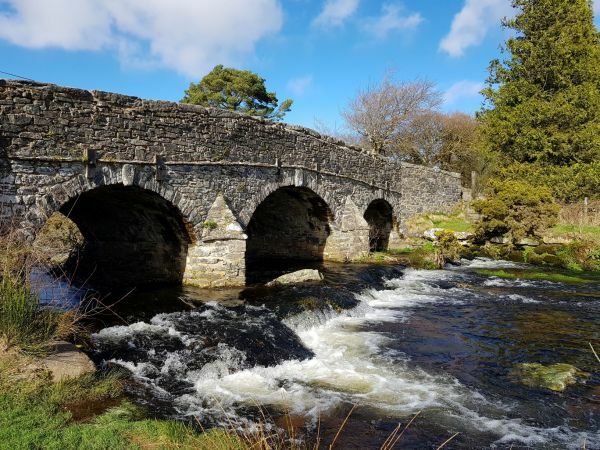 There’s much to see in this tiny Dartmoor village and if you’ve timed it right, there’s a pub which does a good bowl of cheesy chips and a post office serving ice creams. The Visitor Centre is full of interesting information and is soon to be expanded upstairs, to include even more I hope. 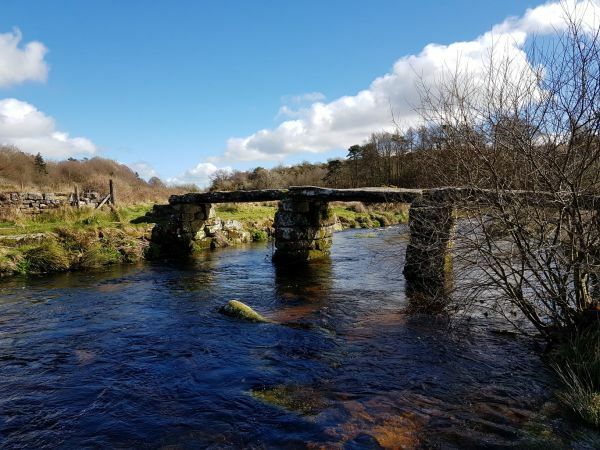 The two bridges sit perfectly together over the East Dart River. The clapper bridge dates from the 13th Century and the road bridge dates from the 18th Century. They are both very photogenic!